Fetchapet Ltd is the modern pet travel solution of Rachel Davis BSc (Hons) Animal Behaviour. Fetchapet operates a pets as family policy and is complimented by a small team of very dedicated pet travel professionals who will ensure you and your pets receive the very best care and service available. Our service is truly bespoke and is tailored to include as much or as little assistance as required. If you would just like us to book your pets flight, supply the IATA compliant travel kennel, provide the shipping documentation and meet you at the airport on the day of departure to check your pet in, that’s fine. Or, if you’re after a more comprehensive solution then that’s fine too – let us know what you need, and we will modify your shipment to suit. No two pet relocations are the same, so our service isn’t either! 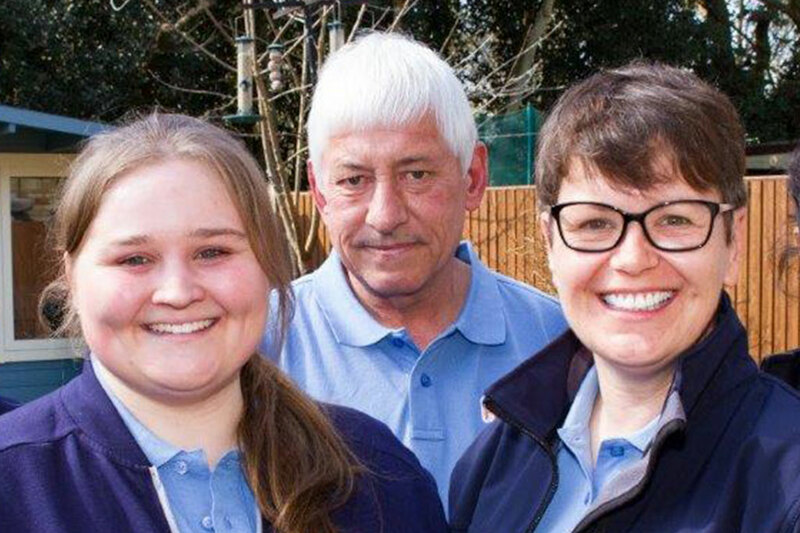 Rachel worked with Par Air Pet Shipping for more than 30 years and is now bringing the experience she gained working in Europe’s oldest pet transport company together to offer a modernised and flexible pet travel service. Fetchapet is Rachel’s own exciting venture that began trading in June 2015 and offers a truly bespoke animal travel package for discerning pet owners. Rachel studied for her Animal Behaviour Degree (BSc Hons) at Anglia Ruskin University, Cambridge and was the only student in her year to be awarded a UFAW (Universities Fund for Animal Welfare) award for an outstanding research project in the field of animal welfare on completion of her BSc studies. Rachel is currently owned by her Border Collie called Tern and Drake the Tabby Cat. Rachel also has a long-standing love affair with birds and is very happy to advise any client regarding the shipment of a bird to any worldwide destination. Emma joined our team from Par Air where she had worked together with Rachel since 2010 and is our resident pet travel and animal husbandry specialist. Emma brings with her a wealth of animal handling skills and plenty of experience with preparing pets for the journey ahead. Emma now works mainly in the Fetchapet office where she is responsible for ensuring all journeys are meticulously planned and that all country rules are fully adhered to when sending dogs cats and birds around the globe. She is often the first point of contact for our clients and is very happy to offer advice on any part of the relocation process. Emma regularly also delivers pets to the airport for their flights and so, like Rachel, has the advantage of understanding the whole process from start to finish. Emma is the proud owner of Alfie a West Highland White Terrier. Jeremy joined Fetchapet following the closure of Par Air and he is responsible for constructing our top quality made to measure pet travel kennels. Jeremy has been building the kennels for more than 40 years, and takes a huge amount of pride in ensuring that our kennels are the best available products for design, comfort and safety. Jeremy also works as a driver who looks after the maintenance of the vehicles as well as delivering the pets to their required destinations. IPATA (International Pet and Animal Transportation Association), APHA UK Authorised Type II Animal Transporters, and IATA Compliant Shipping Agents.